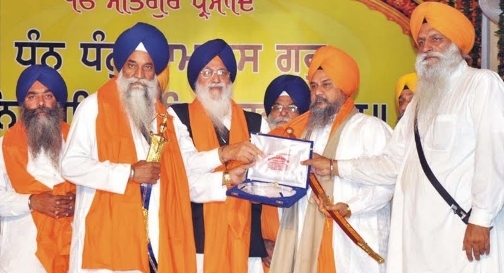 Patiala: October 10 – Shiromani Gurudwara Parbhandhak Committee (SGPC) president Jathedar Avtar Singh, during a function at Amritsar yesterday, bestowed Dr. Gurnam Singh with the honour of ‘Shiromani Ragi’ with cash prize, memento and Robe-of- Honour. He is Professor and founder head of the Department of Gurmat Sangeet and Gurmat Sangeet Chair. A University teacher from three decades Dr. Singh has contributed to revive and represent the music tradition of Punjab as researcher & performer. 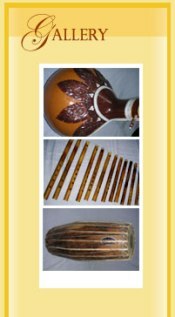 It is worth mentioning here that world renowned kirtankar and musicologist Dr. Gurnam Singh presented complete 31 main Raagas and 31 Raaga forms of Sri Guru Granth Sahib for the first time in his melodious voice and traditional musical style of Sikh music. This remarkable contribution in the world of music and Sikh history along with his research in the domain of music tradition of Punjab has been acknowledged as a movement in the field of music at global level. Talking to the media persons president Jathedar Avtar Singh said that the services of Dr. Gurnam Singh are land mark in the field of Sikh Musichology. 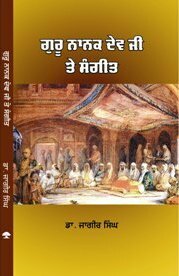 He established Gurmat Sangeet Chair, Department of Gurmat Sangeet, Gurmat Sangeet Bhawan, Sant Sucha Singh Archives of Music and Bhai Randhir Singh On-line Gurmat Sangeet Library. He said that his contributions were matchless. He said that Dr. Gurnam Singh had made his contributions to introduce Gurmat Sangeet on academic level in the universities and he also taught it in foreign universities. Noteably, Dr. Gurnam Singh has penned 14 books, 74 research articles and edited 47 books. Recognising his achievements, Punjab Government had honoured him with ‘Shiromani Ragi’ Award for 2010. He had got conducted 13 Ph.Ds and 8 were still doing. On this occasion Singh Sahib Giani Jaswinder Singh, head priest Shri Darbar Sahib Amritsar, Singh Sahib Giani Mal Singh, Singh Sahib Giani Man Singh, SGPC members Rajinder Singh Mehta, Gurinderpal Singh Gora, Bhai Manjit Singh, and many others were also present.